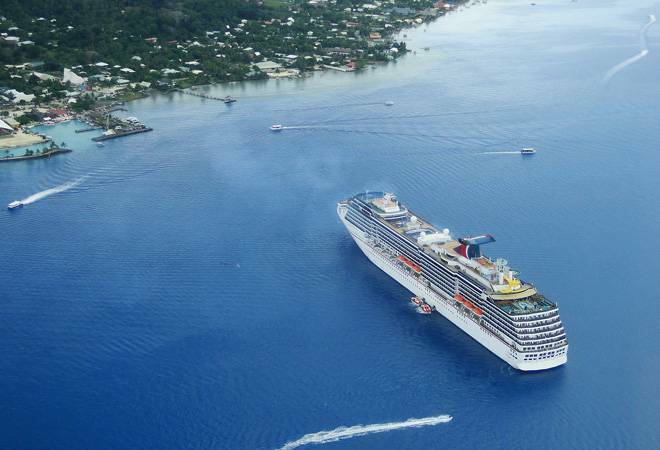 You may soon be able to go on a cruise from Mumbai to Bali via Andaman! Nitin Gadkari also spoke about the Goa-Mumbai waterway and said that it is now open for regular boat service. A private shipping company had also recently announced its service connecting Mumbai to Goa. If you have ever wanted to go on a cruise from India but have been unable to for obvious reasons, then with the government's latest plan you have a reason to rejoice. Union Road Transport and Highways Minister Nitin Gadkari today said that the ministry is working on a cruise route from Mumbai to Bali via Kochi and the Andaman and Nicobar islands. Needless to say, this will be a massive boost to the country's negligible cruise tourism. "I have met a minister from Indonesia. We have initiated the idea of having cruise from Mumbai to Andaman Nicobar via Goa and Kochi. The ships can go up to Bali, Indonesia. Indians usually visit Singapore or Bangkok. They can go there directly on a cruise from Mumbai," the minister told reporters, as mentioned in agency reports. Gadkari is on a two-day visit to Goa to attend a meeting of highways department officials to review the ongoing works across the country. The minister also said the work to widen the Mumbai-Goa highway will be completed by March 2019. "The work on all the packages on the Mumbai-Goa highway has begun. The work on tunnels has also started. We want to complete the entire road by March next year except a tunnel at Kashedi Ghat in Maharashtra," he said. Gadkari said the refurbished highway would be an "engineering marvel" and motorists could enjoy a scenic drive. The four-lane highway expansion project has been delayed for several reasons, including lack of permission to cut trees. Once completed, the drive from Goa to Mumbai would take just six hours. The minister also appealed to common people, politician and NGOs to plant trees along the highways. "I appeal to all members of public, MLAs, MPs and NGOs to come forward and plant trees along the highways. They should plant the trees and adopt them," he said. Gadkari said he had spoken to Rajya Sabha MP Narayan Rane, who hails from Sindhudurg district in neighbouring Maharashtra, about tree plantation and the latter has assured him about the same. The minister also spoke about the Goa-Mumbai waterway and said that it is now open for regular boat service. "We have opened up the Mumbai Goa waterway for boat service. Initially, there were some technical problems for this service, which are fixed now," he said. A private shipping company had recently announced its service connecting Mumbai to Goa. "The successful trial of the ship was also conducted. The service is right now on hold because of monsoon. It will restart after two months post monsoon," Gadkari said. This service is likely to become operational in September this year. Gadkari said the Central government has always encouraged cruise tourism. "Mumbai gets 80 cruise ships. We have constructed a state-of-the-art terminal for ships. Goa also gets a number of cruise vessels. We expect that in the next five years 950 cruise vessels will be calling the Goa port," he said. Gadkari said he would address a workshop of tour and travel companies in Mumbai for which Goan operators would also be invited.